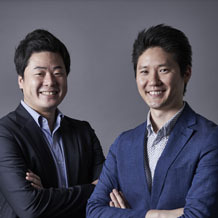 Akira Fukabori and Kevin Kajitani have teamed up to launch multiple initiatives within ANA. Working beyond organizational boundaries, these two have teamed up to launch ANA’s cause-related Blue Wing program and the airline’s crowdfunding platform “WonderFLY.” They are also the prize developers behind the ANA AVATAR XPRIZE concept which won top honors at XPRIZE Visioneers 2016. Both are passionate about creating business models that positively impact humanity and have the potential to reach all 7.5 billion people on earth. Kevin and Akira both studied Aeronautics and Astronautics. Their journey as intrapreneurship partners began when their careers crossed paths in 2010.